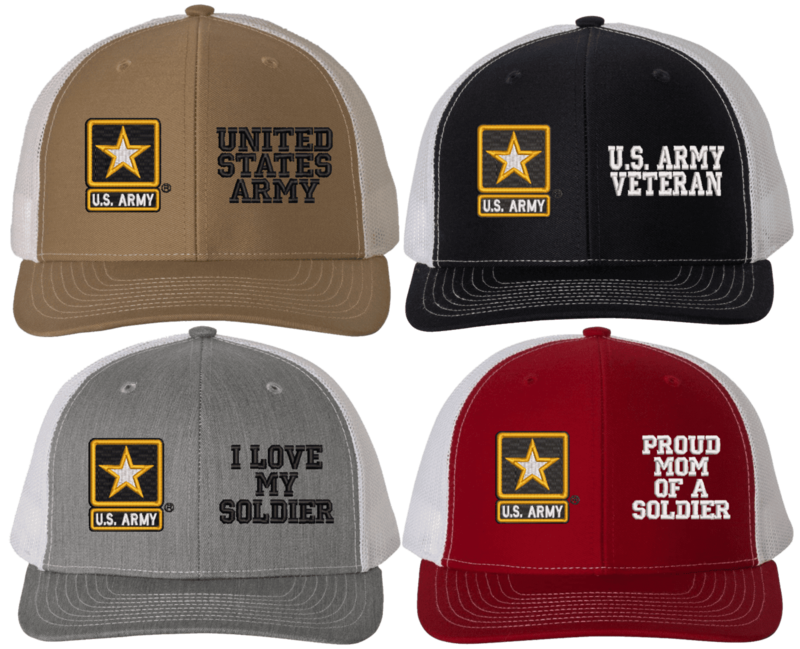 We are proud to present these MilitaryBest exclusive U.S. Army Split Design Embroidered Caps. These insignia used in these split designs are officially licensed by the U.S. Army! We offer these designs on many cap styles and colors including many MADE IN THE USA caps! We are so sure you'll love our caps that we offer a 100% satisfaction guarantee. These caps are directly embroidered at our facility in Scottsboro, AL.